This entry was posted in Comb, Dandelions, Drone Brood, Drone Comb, Drones, Foundationless Frames, Month of June, Open Brood / Eggs, Year 2016 and tagged Practical Tips. Bookmark the permalink. 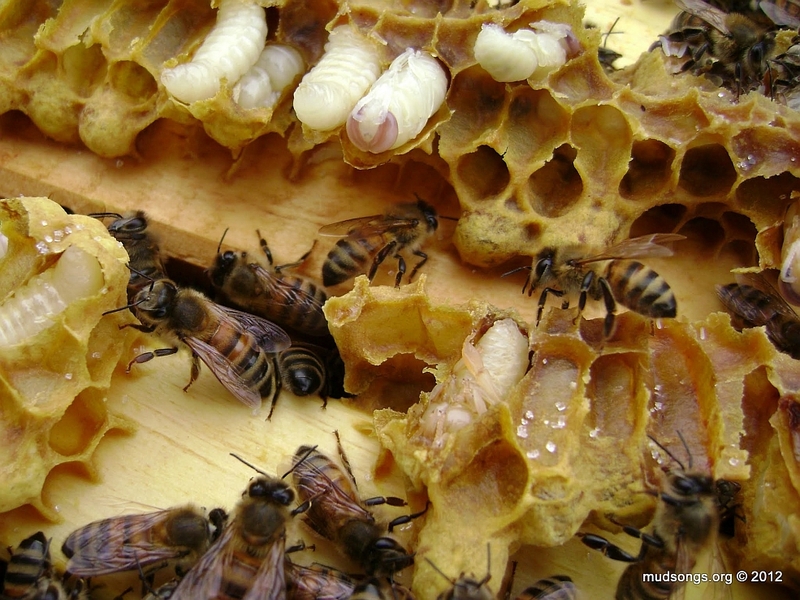 If you lived somewhere with varroa, you could destroy the cells to eliminate mites. If I had to deal with Varroa mites on top of the cold, damp, windy, weather-induced frustrations of beekeeping in Newfoundland, I’d quit. Foundation with drone-sized cells imprinted on them is available at many beekeeping supply retailers, though I don’t see the point when a blank frame achieves the same effect. This is my first year with Langs after keeping top bars. 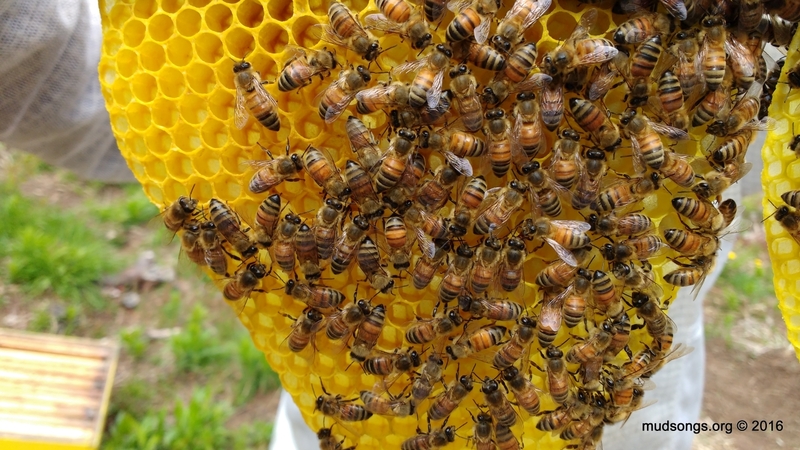 In top bar hives, I’m used to them building nice comb – whichever type they want to build. Today, I put an empty comb in my Lang and am interested to see what they do. They’ve been stuffing drone comb here and there otherwise. I’m curious to see what they do, too, Don. I add the blank frame before they begin making drone comb. I wonder if it makes any difference after they’re already caught on that they can fill the spaces between the boxes with drone comb.